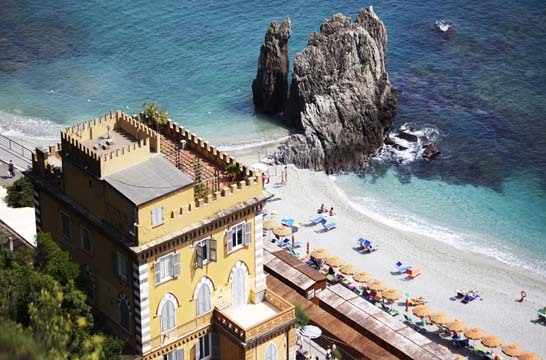 Hotel Agavi in Monterosso al Mare is inserted in the National Park of 5 Terre. Located directly on the sea with sandy beach. Vintage building artistic heritage of Belle Arti was built towards the end of 1800, at the dawn of tourism in Monterosso al Mare, already beloved by the people of northern Europe. We speak English and Spanish. There is available information material for excursions by sea and by land. Car parking for a fee and train station 200m.